Classroom 2.0 LIVE webinar, Oct. 18, 2014, presented and facilitated by Alice Keeler. 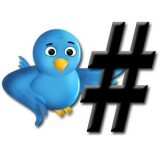 What do hashtags and Twitter have in common? TwitterChats, of course! If you're still trying to figure out exactly what hashtags are, what TwitterChats are, and how to make these a part of your professional learning network, join our amazing special guest, Alice Keeler. A place for Australia educators to share good practice, and support and challenge each other. Please double check times yourself on their webpage if possible. A place for UK Governors to share good practice, and support and challenge each other. Students launched this chat in May of 2012 with the hope of providing a new platform for youth advocacy – one for students, by students. The chats have helped to cultivate an understanding of the importance of student voice with the involvement of presidential candidates, journalists, educators, parents, and most importantly, students. The chats have also inspired the growth of the movement beyond the Twitter-sphere, in addition to the formation of other youth-led Twitter chats. Twitter chats are an excellent way for students to discuss policy issues and connect with other students from around the world. Hashtags are everywhere but no one knows where to find you. Twubs offers a single social landing page for you to communicate with your tribe. If you register your hashtag you can create an archive of media, tweets and articles from your event. Keep the conversation going long after the event has ended. #SciChat is a one hour Twitter chat plus webinar. We trawl the internet on a daily basis and find Twitter chats so you don’t have to. We list regular chats on Twitter, one-off Twitter chats and live event Twitter chats. ... a dedicated area on the Shambles website. Meetings scheduled every Tuesday, 9-10 pm (Singapore time, UTC+8).